Rejoice always! Those words from St. Paul in Thessalonians reverberate through the ages, through prayer and song. Again, I say rejoice. This Advent, we take time to pray with St. Paul, one of history’s most compelling figures. 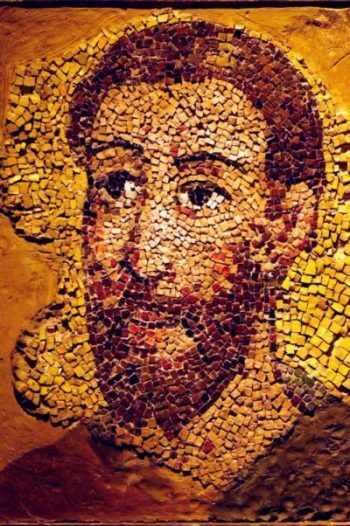 A focused and intense man, he dedicated himself to persecuting followers of Jesus. Then, after a dramatic encounter on a journey to Damascus left him blinded and dazed, St. Paul changed course entirely. He had encountered Christ, personally and vividly, and his life would never be the same. St. Paul, we ask that you help us to understand the indescribable joy that an encounter with the risen Christ can bring. In our lives, we seek happiness. We ask, St. Paul, that you help us to understand the difference between the superficial things of this life that sometimes bring us brief happiness and the deep down, impregnable joy for which we yearn and which will shepherd us through life’s hardest moments. St. Paul, in your letters, we sometimes find you in prison. We ask you to help us sit with you in the dank, humid environment of a Roman prison. Help us to be with you in the quiet of prayer. We ask to be present to the cruel or indifferent guards whom you encountered, the filthy conditions, the darkness of a lonely Roman night. Help us to understand those things that imprison us this Advent season. Amid the twinkling lights and the gaily wrapped presents, help us, as we spend time with you, to enumerate what sometimes hinders our joy. Are we lonely for someone we miss this season, and feel our hearts cannot endure the absence? Are we discouraged by the waste and overabundance that sometimes mark the holidays? Are we struggling against overconsumption — either of food, alcohol or other substances — that enslaves us? Are we struggling financially? Are we struggling with faith? Do we sometimes feel overwhelmed by the evil present in our world? St. Paul, the tables had been turned for you as you embraced Christ. You, the pursuer, became the hunted. The persecutor had become the persecuted. How did you sustain your joy through these challenges? No debate or argument produced the joy you feel, St. Paul. No “lofty idea” convinced you, but instead an encounter with the person of Christ changed you forever. We ask you to help us share in boundless joy in the midst of our own limitations and challenges. We pray for the grace, this Advent season, to encounter, as St. Paul did, a person, the person of Christ who brings a peace that the world cannot give, a joy and peace surpassing understanding, a joy not confined or constrained by prison walls.